What’s the old adage about March? In like a lion, out like a lamb. Pshhh. Whoever said that was no accounting pro. With tax time a flip of the calendar away, these days are anything but calm. For help taming the busy season, check out our latest QuickBooks® Online updates. This month brings time-saving features and automated workflows that fuel productivity in tax prep and beyond so you can make the most of your energy. In a nutshell: Your project-based clients can only take on so many jobs. Knowing which ones are worth the effort, and which aren’t, can mean the difference between turning a profit—or turning to a new career. Enter Project Profitability. 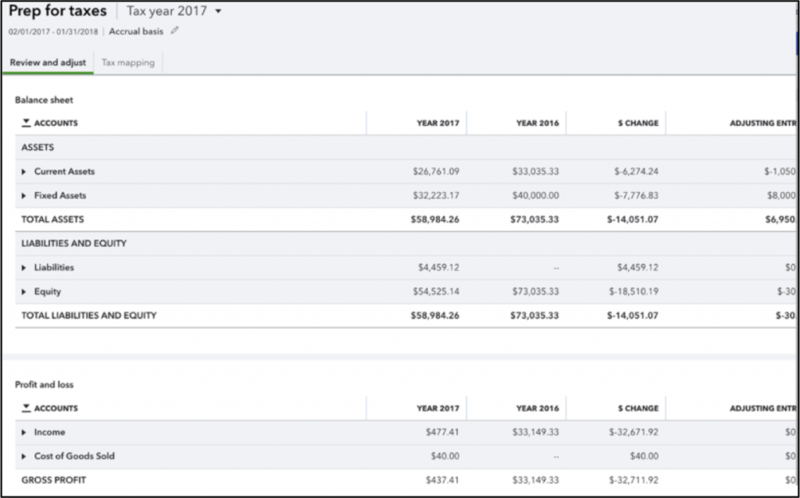 For clients using QuickBooks Online Plus or Advanced, you can use this new feature to track each project’s expenses, income, and labor costs, all in one place. Quickly gauge how much clients are earning and make informed decisions about how to use time and resources in the future. How it works: To access Project Profitability, select Projects from the left navigation. You or your clients will need to turn on Projects, if it isn’t already on. 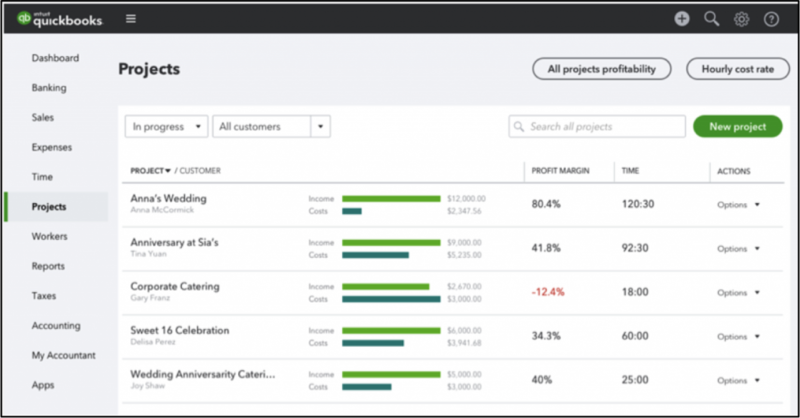 You’ll see a consolidated list of your client’s projects, as well as their profit margin. For a more detailed overview, select All projects profitability. This will show an itemized list of job costs you can compare across projects. Dive into a single project for more specific transaction details and reports. You can even see exactly how many billable hours each employee logged during a project. Best of all, we pull in labor costs for you using integrations with TSheets by QuickBooks and QuickBooks Payroll, meaning you and your clients don’t have to waste a second crunching the numbers. 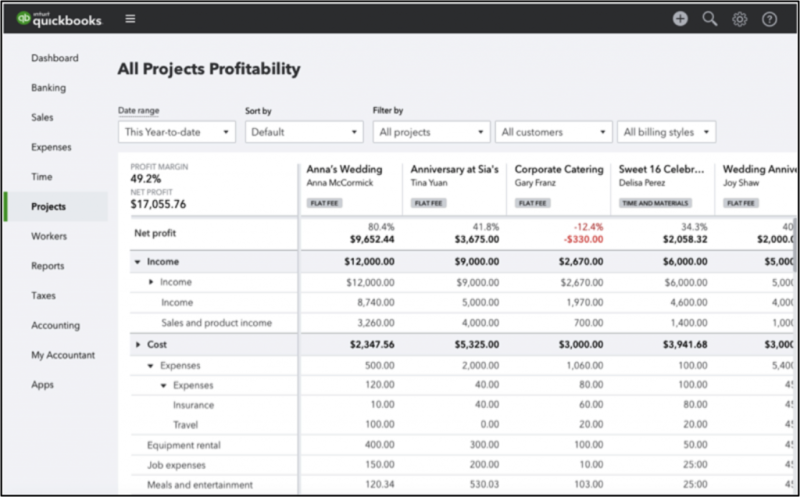 Learn more about how to use the Projects tab and how job-costing gives your clients a clearer path to profitability. In a nutshell: For many clients, their tax return is a measuring stick for their business and your shared relationship, but breaking out a fine-tooth comb for every review can be a scattered, sluggish affair. With our new Prep for Taxes tool, you’ll get precision without sacrificing efficiency. Prep for Taxes (which replaces Trial Balance) shows your clients’ P&L and balance sheet all in one place so you can simplify your review process. 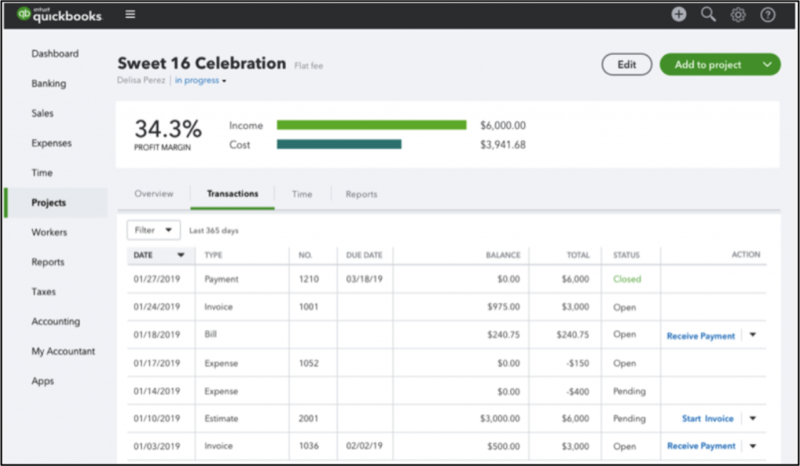 Plus, make adjustments from a single screen and export returns directly to Intuit® ProConnect™ Tax Online to save crucial time during your busiest season. How it works: To access Prep for Taxes, select the Clients tab in QuickBooks Online Accountant, then Prep for Taxes from the drop-down in the action column next to the client you want. 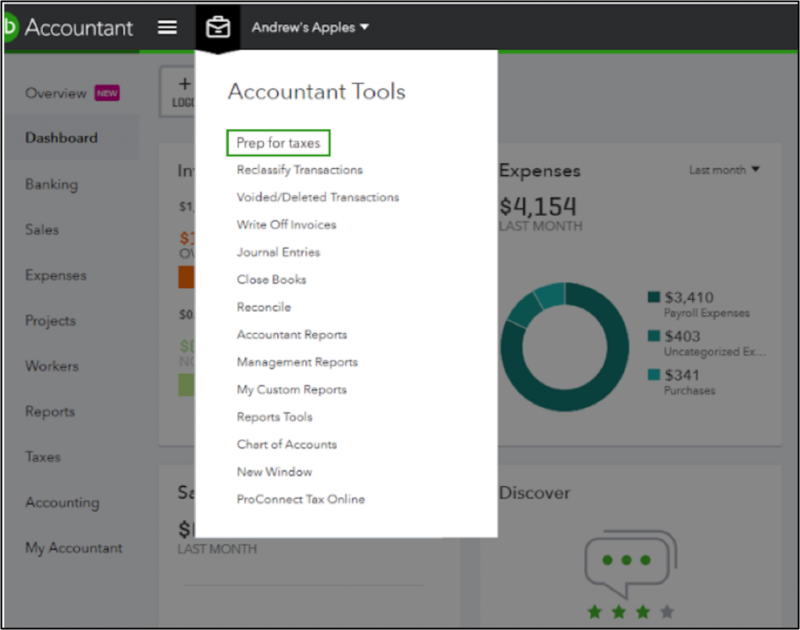 If you’re working in your client’s QuickBooks Online, you can also access Prep for Taxes from the Accountant Toolbox. You’ll find your client’s annual balance sheet and P&L reports in one consolidated view. Expandable view. Expand rows for more details or collapse for a high-level summary. Quick filters. Easily flip between “Accrual basis” or “Cash basis” accounting method. View year-over-year changes in dollar amount or percentage. Single-screen adjustments. Expand rows to add attachments or notes and make adjustments to every category without exiting your workflow. Smarter tax mapping. Instantly see which accounts have been mapped to a tax form, and the total amount mapped to each line item. Make edits in line with more vertical drawer space and predictive text filters. Exportable returns. Export right to ProConnect Tax Online, with the option to create a new return or update an existing one. And that’s just scratching the surface. Learn more about how to use Prep for Taxes. In a nutshell: Back in December 2018, we rolled out Client Overview—a central page where you can see new clients’ company details, banking history, and trouble areas. This month we’ve added a whole new component to the Client Overview page called Transaction Volume. Pinpointing transaction data used to require tedious digging and multiple reports. But with Transaction Volume, you can glean a client’s transaction, bill, and invoice numbers at a glance to save time on analysis and help price your services. 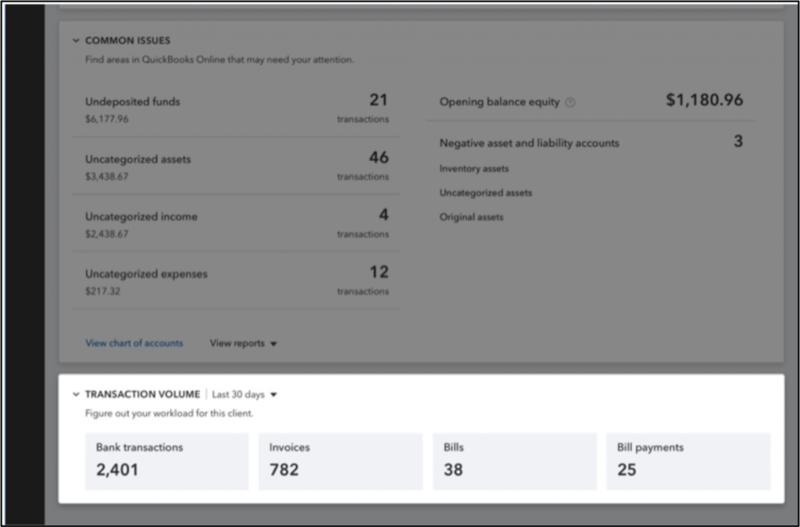 How it works: To access Client Overview, log in to your client’s QuickBooks Online through your QuickBooks Online Accountant. Select the Overview tab from the left navigation. You’ll find Transaction Volume at the bottom of the Client Overview screen. Gauge how many bank transactions need reconciliation or reclassification each month. See invoice volume to get a sense for future accounts receivable work. Track monthly bills and bill payments to preview the accounts payable workload. Make informed app recommendations for clients who need accounts payable and/or accounts receivable automation. Learn more about the benefits of Client Overview. Alex Glenn is a senior content designer for Intuit®, and has more than seven years' experience as a writer and editor in fintech, journalism, film and literature. His work has appeared in Business Insider , Mashable , The Christian Science Monitor , The Huffington Post , TIME Money Magazine and USA Today , among other outlets. He has a crippling addiction to NBA basketball … but can quit anytime, he swears.